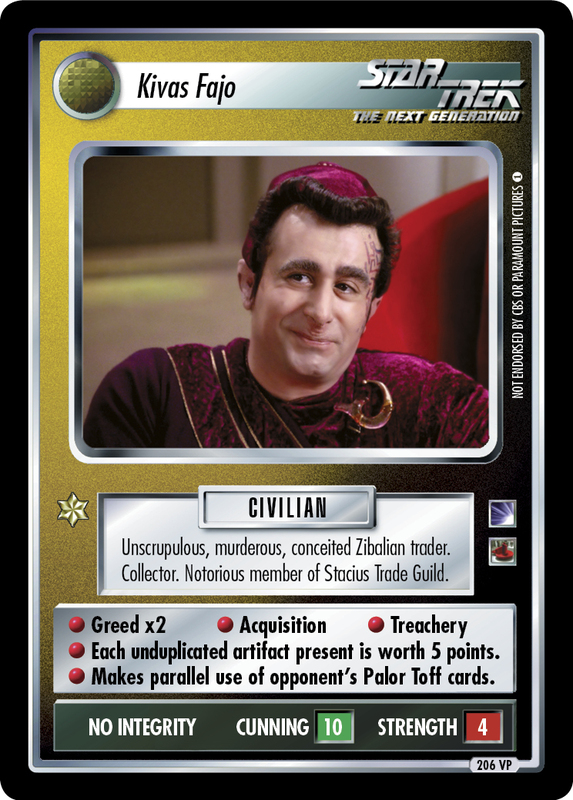 Unscrupulous, murderous, conceited Zibalian trader. Collector. Notorious member of Stacius Trade Guild. • Greed x2 • Acquisition • Treachery • Each unduplicated artifact present is worth 5 points. • Makes parallel use of opponent's Palor Toff cards.